There are many design influences to be found in the Sonoran Desert, which is located in Southern Arizona and Northern Sonora, Mexico. These are the only places on earth where the majestic Saguaro cactus grows. There are many beautiful flowering plants and trees, craggy mountains, abundant wildlife….it is a surprisingly diverse place. But the cultural influence of many different peoples also is felt strongly here. From Native Americans, we get the corner fireplace with arched opening, which was called a Kiva. From other warm-weather locales, we get clay tile roofs. From nearby Santa Fe, New Mexico, we have the opportunity to make use of multi-talented artisans who work in carved wood, usually reclaimed. 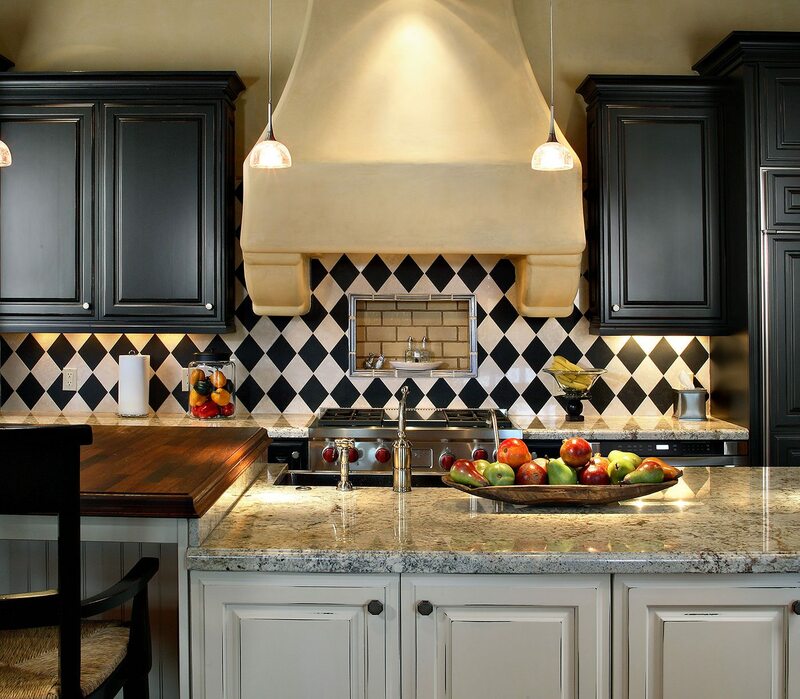 From Mexico, we have the influence of clay tiles on our floors, called Saltillo tiles. 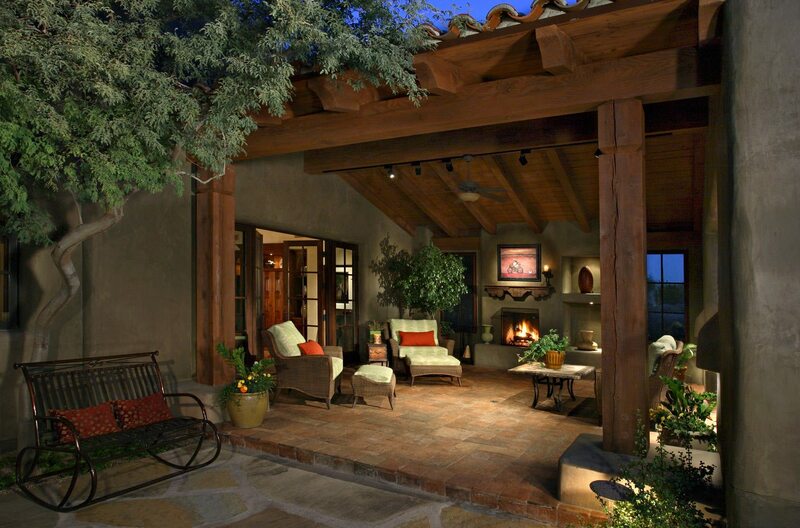 And from the Sonoran Desert weather itself, and lack of attacking insects, we have the ability to enjoy open outdoor spaces during most of the year, such as the one facing the back yard and pool in this home located in Sincuidados, Scottsdale. 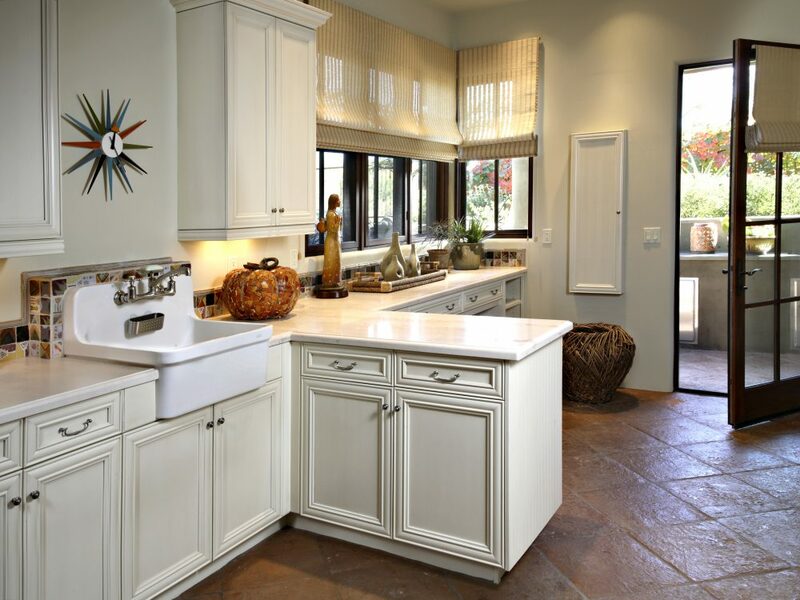 This Santa Fe Inspired Interior Design features carved wood doors from artisans in Santa Fe that highlight the indigenous feeling of this home while diverse designs and materials from the Arizona desert complement this elegant and warm design.